Prime Minister Narendra Modi is pro-market, but he wouldn't rush liberalisation without calculating the political implications of every capitalist measure proposed by economists. ar better than the Congress, much less than liberal economics, but an urge to push it within the confines of political realism — that is how the Modi government’s performance can be summarised. 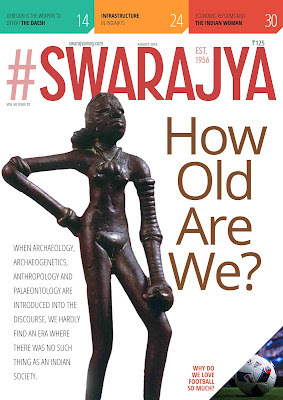 Liberals who supported the Bharatiya janata Party’s campaign in the hope of a revival of the national economy, but who are not in touch with functionaries of the government, have had occasions of despair. Why so many foreign trips? Why has one minister been entrusted with two of the most important portfolios, both of which demand full-time involvement? Why no thrust on Hindutva? These are some of the FAQs the government must live with. Two names can be revealed in this article. 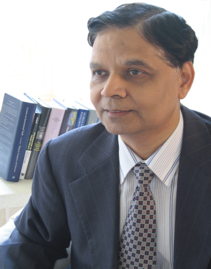 Modi found Arvind Panagariya too demanding, say my sources, and hence asked him to restrict himself to the role of a consultant who would keep operating from overseas. 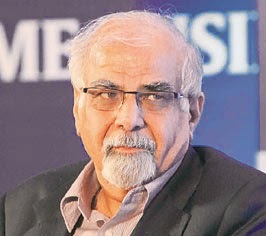 When Surjit S Bhalla was contacted, he excused himself saying he was too fiercely independent to be part of a government, another finance ministry economist under the condition of anonymity confided in me. To the above, if one added the clause that MPs aged above 75 wouldn’t be made ministers, one can reason why an economic stalwart in the right wing camp such as Arun Shourie couldn’t be invited to join the government. Shourie’s personal reasons wouldn’t have impeded his way into the dispensation, had the age restriction not been in place. The tacit rule also explains the exclusion of another crusader against corruption from the Cabinet: Subramanian Swamy stepped on 75 two months ago. In fact, Modi is so serious and sincere about this self-imposed discipline that he is reported to have told his confidantes he would retire after leading the party in the 2024 elections (he would be 74-year-old then). Lending credibility to this insider information, he told a child who had asked him what the qualifications of a prime minister were on the Teachers’ Day, “Prepare yourself for the 2024 elections!” If you thought that was a mere quip, you were mistaken. “Big-ticket reforms will begin post-November after the prime minister’s trip to Japan. They will get a renewed thrust in the next Budget. 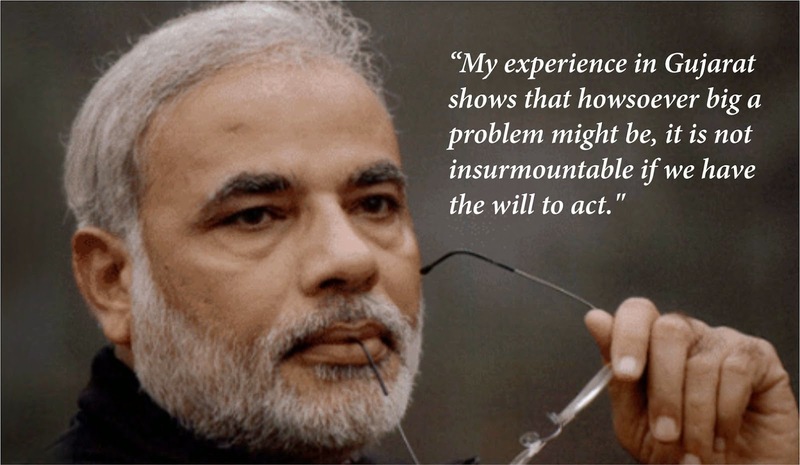 Modi will calibrate his steps based on the levels of patience of different sections of population. He is believed to have divided the people into three broad sections: the most impatient media, which he has decided not to pay much attention to; the moderately patient poor, whom he will constantly work on, and the most patient middle class that has to wait till the end of next year for “achchhey din”. Modi is reported to believe that the middle class’s honeymoon with him will last one-and-a-half years after which he will take more measures to please them,” I wrote. As predicted in the post dated 25 August, reforms have begun right after the first phase of the prime minister’s foreign trips. Easing off the burden on a recuperating Jaitley, pro-market Arvind Subramanian and Rajiv Mehrishi have been brought into the government’s scheme of things. Barely a few weeks after returning from his US trip, Modi appointed Subramanian as the Chief Economic Advisor and shunted Finance Secretary Arvind Mayaram out of the Finance Ministry. Mehrishi, an IAS officer of the same batch and State cadre as Mayaram, was appointed Secretary, Department of Economic Affairs in the Ministry of Finance. Mehrishi is believed to be the chief architect of Rajasthan’s labour reforms initiatives. 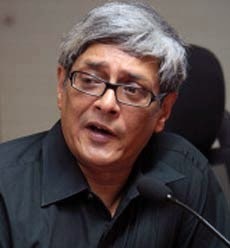 Bibek Debroy, the economist other than Bhalla whose pre-April 2014 articles used to clear the air about Gujarat economy, has already been working on reform of the Indian Railways. 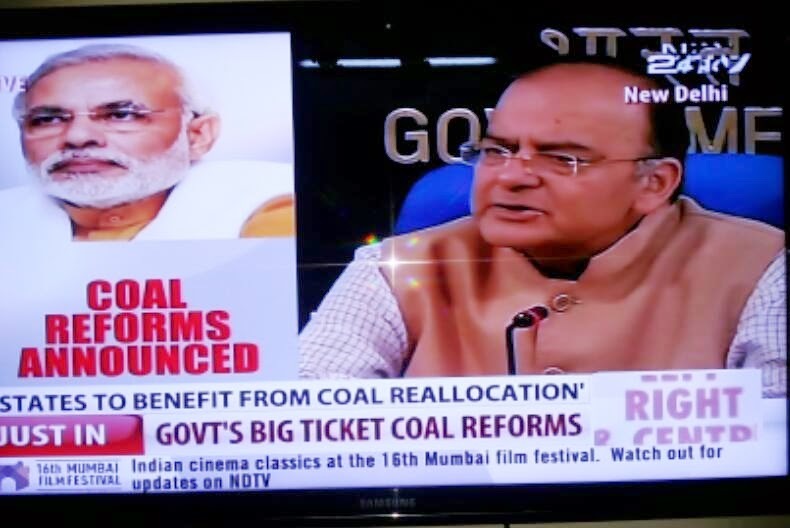 On 20 October, television was enthralled by Jaitley’s announcements pertaining to the coal sector. The Cabinet has recommended ordinance for reallocation of coal blocks; the reallocation will be completed in 4 months; there will be e-auction of coal mines for private firms’ end use. Now comes the policy’s political management. To pacify regional rivals, the government has decided that the revenue from mines will to go to the States. To keep breast-beating socialists at bay, Jaitley has assured Coal India’s future won’t be affected, even though the government is set to undertake restructuring of the public sector behemoth and world’s largest coal miner, Coal India Ltd (CIL), by creating multiple mega coal companies in line with the recommendations of a government-commissioned study by global consulting firm Deloitte. The jholawala brigade’s expected rants in response are not likely to receive public support when the reforms boost manufacturing and create millions of jobs. On the other hand, liberal economists who are lamenting the government’s act of stopping short of complete de-nationalisation of the coal sector have no more than academic importance on the political scene. Former secretaries at the Power Ministry EAS Sarma and Anil Razdan, for example, want an independent statutory regulator to de-politicise coal mine allotments and coal pricing. This is hardly a soul-stirring issue for activists. Television missed three headlines that some newspapers caught on the 21 October: One, 88 infrastructureand industrial projects, involving investment of nearly Rs 3 lakh crore — which is more than the Centre’s budgeted income tax collections for the current financial year — have become operational over the past few months. This will help in adding jobs and easing pressure on banks, which had lent to the projects that got stuck due to lack of government clearances. Two, the government last Monday initiated a series of measures to make iteasier for companies to do business in the country by streamlining the processfor granting industrial licences as well as setting up a committee to look intoissues of corporate bankruptcy. At present, there is no bankruptcy law in India. Such a law will enable entrepreneurs to close down unviable businesses. The move will primarily help small and medium enterprises (SMEs). Micro, small and medium enterprises (MSMEs) contribute about 8% to India’s GDP. The government has earmarked Rs. 24,000 crore towards the sector under the 12th Plan against Rs. 11,000 crore in the 11th Plan. All public sector banks are expected to allocate at least 55% of credit to MSMEs, register a 10% annual growth in the number of micro enterprises and raise their credit growth to the sector by 20%. Three, the content of bankruptcy law was perhaps too much to deliberate upon for cerebrally challenged television channels, but why did they miss the effort to sell off stakes in the Oil and Natural Gas Corporation? The administration’s top privatisation official met bankers on Monday in the financial capital, Mumbai, to discuss the sale of a stake of 5% in ONGC. The finance ministry hopes to raise up to $3 billion from the sale, almost a quarter of its target for asset sales for this financial year. Earlier, it was announced on the day of launch of Shrameva Jayate that all 1,800 labour inspectors will be disallowed from swooping down on companies. Instead, a computerised system will randomly send them on inspections, based on data trends and objective criteria. Following inspections, they will have to upload their reports within 72 hours and cannot modify them thereafter. This was a low-hanging fruit to pluck. he huge social media support that the BJP enjoys has also been revealing a less-than-charitable outlook for its government. Most of them don’t like Jaitley. Conspiracy theorists find him a Congressman in Modi’s team! More measured commentators call him status quoist. Whatever be the truth in these allegations — fuelled by the new Finance Ministry’s act of taking the same DTAA route as the UPA Government to bring back Indian black money from overseas, refusal to make the Henderson-Brooks’ report public and affidavit censuring Gen VK Singh — the prime minister is not banking on the finance minister fully. At the same time, the two will remain friends. Finally, why is there no thrust on Hindutva? Well, who made Modi a “Hindu Hriday Samrat”? Following the 2002 Gujarat riots, not only did his detractors slam him for going soft on rioters, many who thought the gory incidents were Muslim society’s comeuppance began believing in the myth. In other words, Modi is hated and loved by two sets of incorrigible people: leftists and the far right. He is under no obligation to live up to the impression of their own creation. He is a true secular, who does not distribute fake smiles equally among all communities as is expected in Indian secularism; his focus is development irrespective of our communal identities. He talked of 6 crore Gujaratis as their chief minister; now all of 1.25 billion Indians are his constituency.